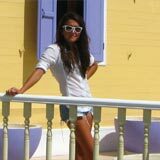 What do we miss most about the best Caribbean island any time we're away? Four words: the best Caribbean restaurants. 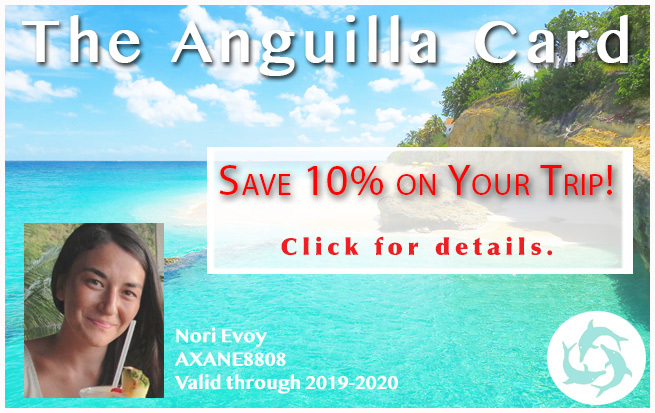 Anguilla is home to some of the region's best. 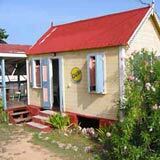 And da'Vida Anguilla restaurant has long topped our list of favorites for tapas and dinner. 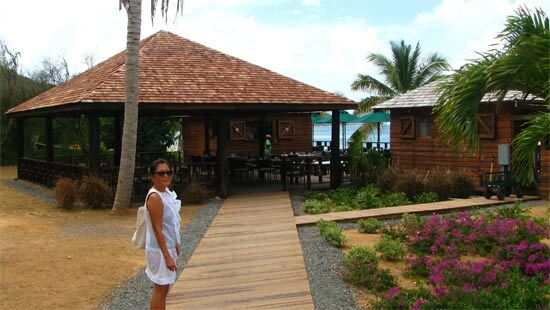 Its Bayside Grill, next door to its main restaurant, is one of the island's top spots for lunch. 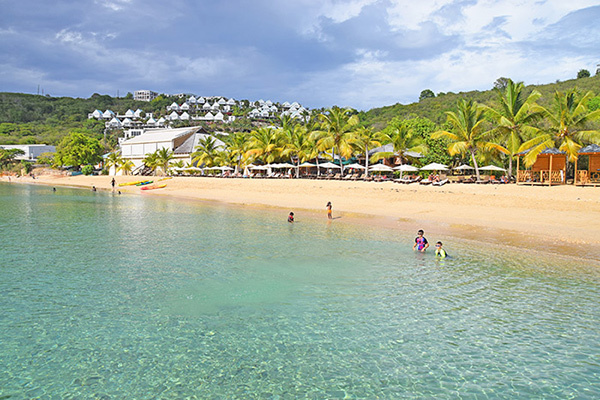 Set on serene Crocus Bay, da'Vida's gentle waters make it the perfect spot for a relaxed day at the beach. 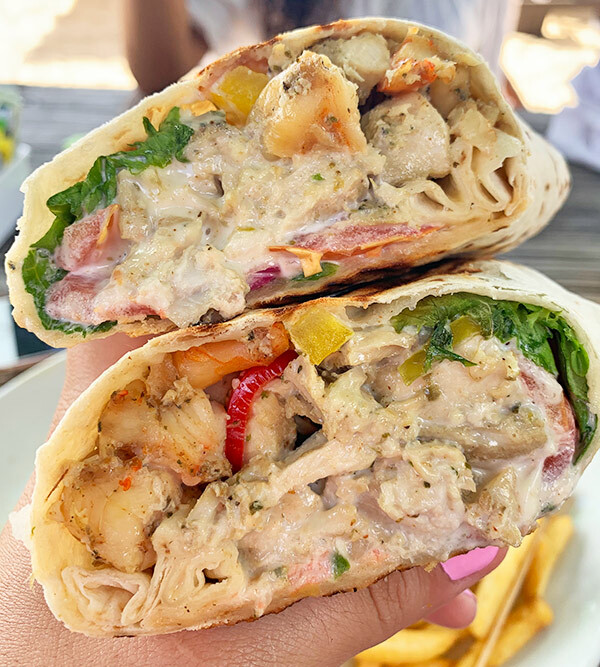 Take its A+ setting, add excellent and efficient service, tasty eats and cool drinks all at a reasonable price and you have beach afternoon perfection. 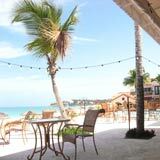 Afternoons at da'Vida's Bayside Grill begin either inside their covered restaurant or out on the beach. For extra-relaxing days, opt for a spot out on the beach in one of da'Vida's luxurious lounge chaises. Lunch and drinks are served right to your chair. From there? 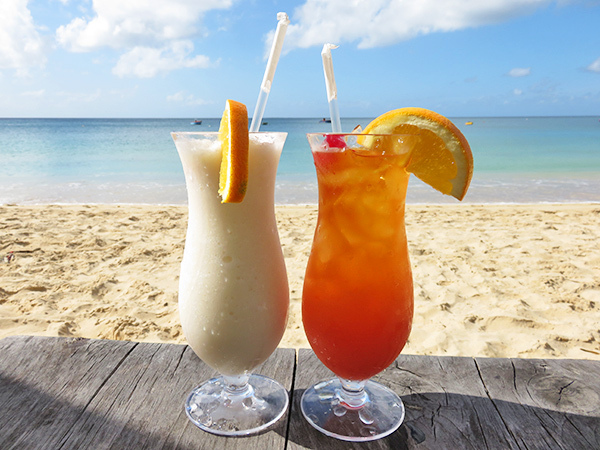 You can't start an afternoon at da'Vida's Bayside Grill without a beachy drink, and nothing screams "the beach" more than a rum punch and Piña Colada! They have a full bar and even a dessert menu: warm brownie with vanilla ice cream, carrot cake, apple tart and ice cream and sorbets. My Mom has long loved the juicy hamburger with tomato, lettuce and onion. My Dad always goes on and on about the tasty "dog" in a grilled bun, focaccia style. "Different, but delicious," he will rave. 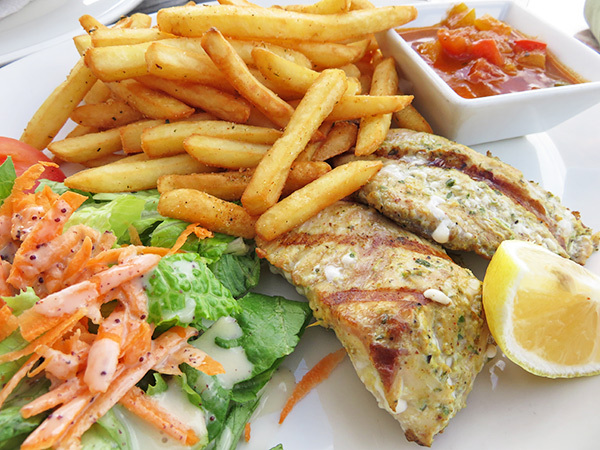 The grilled mahi mahi meal is oh-so-satisfying if you're in the mood for seafood. 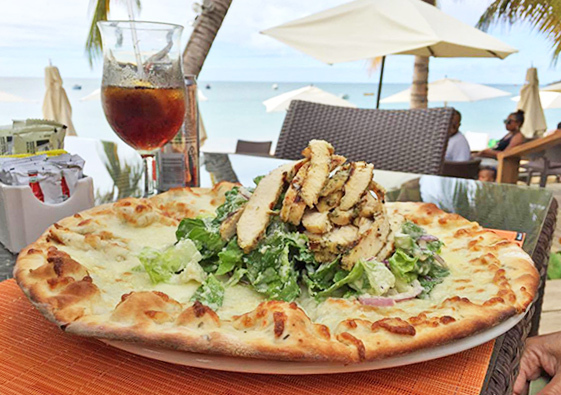 A "white pizza" (no tomato sauce), it is topped with da'Vida's rich chicken Caesar salad. With a hefty sprinkling of parmesan, each bite is savory Caesar-pizza delight. 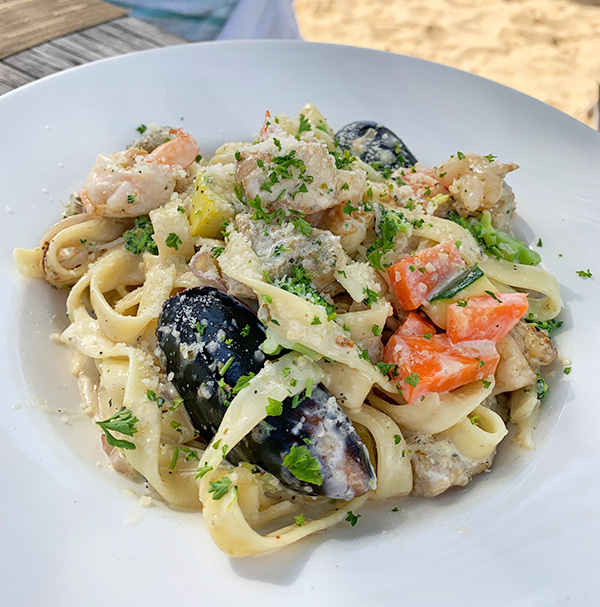 The creamy pasta is Louise's choice when lunching at da'Vida. 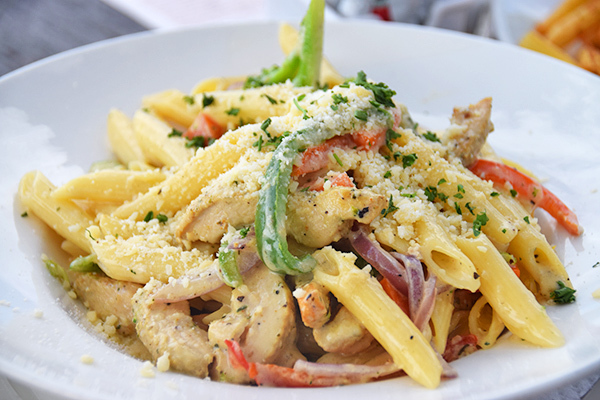 Thin strips of bell peppers, onions, broccoli and chicken breast are tossed with the penne pasta. To add to perfection? Parsley and parmesan cheese, sprinkled all over. The dish is rich with yummy chunks of veggies and a variety of seafood like shrimp, fish, and even mussels! It is served in your choice of cream or tomato sauce. Fish and shrimp with tomato, lettuce and a delicious tartar sauce are all tightly wrapped and grilled! The dish is served with crispy French fries and a side salad. It's back into the sea! 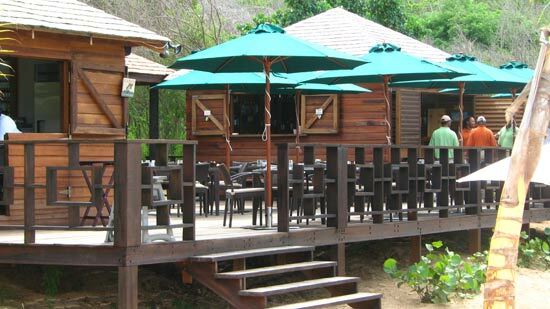 da'Vida's Bayside Grill offers a number of ways to enjoy Crocus Bay's clear, calm waters. 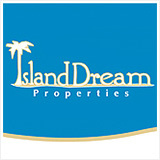 They carry them all and rent them for a reasonable cost. The SUPs and kayaks are especially popular. 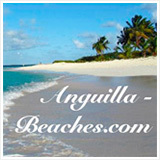 One of Anguilla's gems, Little Bay beach, lies just next door to Crocus Bay. It is a popular kayaking destination from da'Vida on a calm afternoon. The first time we kayaked over, we had a little launching struggle, but after that it was smooth sailing... err... kayaking! Cooling off in the clear, azure waters at Little Bay at the end of the 20 minute ride is the ultimate reward. 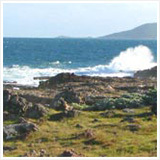 Tip: Little Bay is a popular destination with boaters. 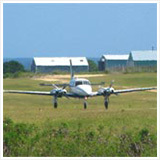 If you time your take off to be later in the afternoon, you will arrive at Little Bay to discover that it's all your own. The only sounds? The water lapping at your kayak. On our first kayak over, we were lucky enough to have left Crocus Bay just before the sun started getting low in the sky. When we arrived in Little Bay, the sun was lower, glowing a warm hue, bathing the sea in a special pre-sunset shade of orange. 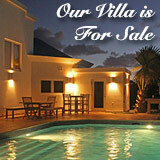 It was one of the most magical sights on any of our Anguilla vacations. My Dad found it to be a bit of a long paddle (particularly the paddle back), so be sure to bring a water bottle. 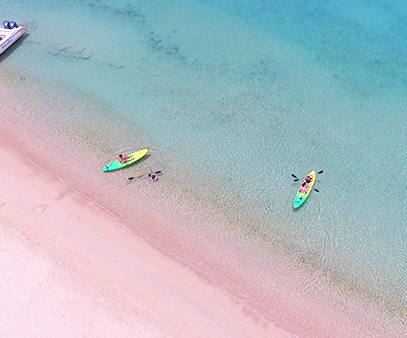 If you would prefer to enjoy Crocus Bay's clear blue waters without a slightly strenuous kayak session, da'Vida has you covered. Their pier to the west of the beach is immaculate (see photo above). 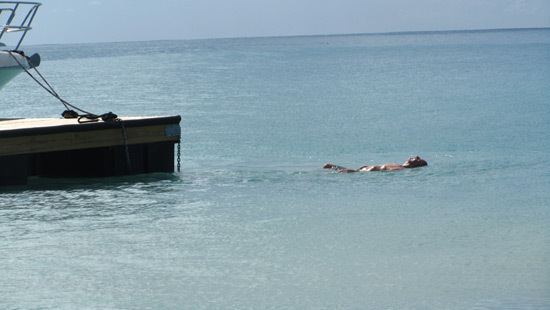 Special Perk for Boaters: If you visit da'Vida by boat, you can pull your boat right up to the floating dock and walk to shore! No need for a small dinghy. Another perk of the floating dock? 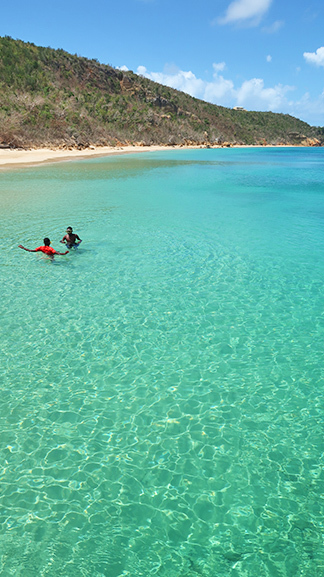 Crocus Bay's shoreline can be lined with pebbles that makes getting in and out of the water a bit trying. The dock removes that problem entirely. 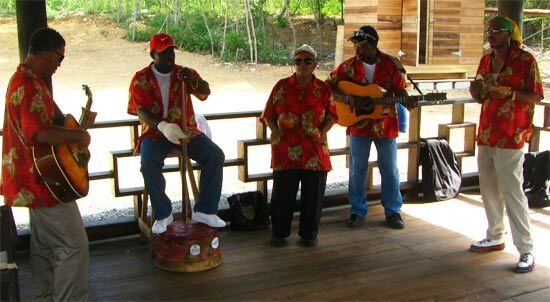 Last but not least, if you visit da'Vida's Bayside Grill on Sunday a special live music treat awaits you. By nature, Sundays are always laid-back. 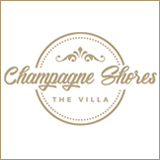 If you're seeking a bit of a livelier vibe, head to da'Vida on Sunday for their beach party. Food, sun, sand, clear seas, and live music all afternoon. da'Vida has it all on Sundays. Every day is a great day to be here, but Sunday's afternoon beach party may be the best! 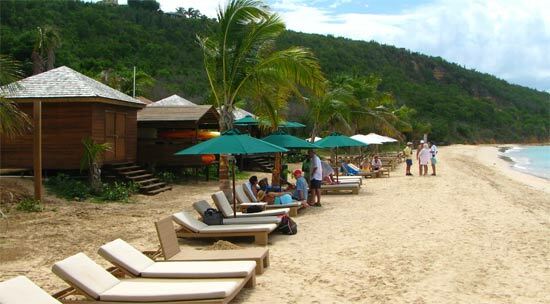 On a day in late January, we visited da'Vida to find a full buffet and at least a hundred beach chairs lining the bay. 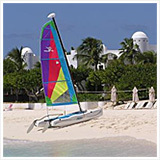 da'Vida was a beach-day site for a convention of lawyers and judges from the States in Anguilla on a day trip from St. Maarten. 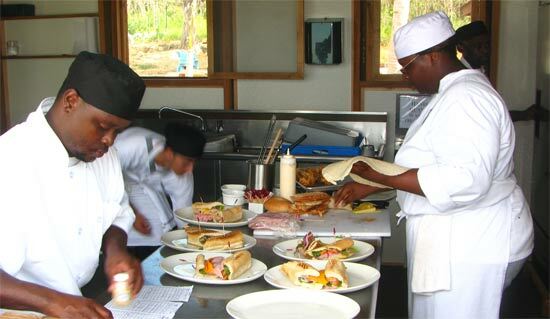 da'Vida had prepared a full lunch, organized the beach, and set up a separate bar for them. It was a party! The best part? We could enjoy the buzz without feeling overwhelmed. We were able to relax and enjoy our beach day, too. 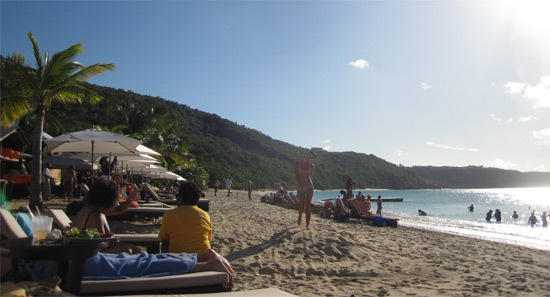 Crocus Bay did not feel crowded, despite the "crowd." 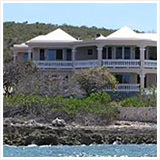 They had also staffed-up and made sure that each and every guest (both in and out of the large party) was attended to and given the same impeccable service da'Vida is known for. 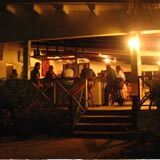 If you are planning a group event in Anguilla, da'Vida's Bayside Grill makes a terrific site. 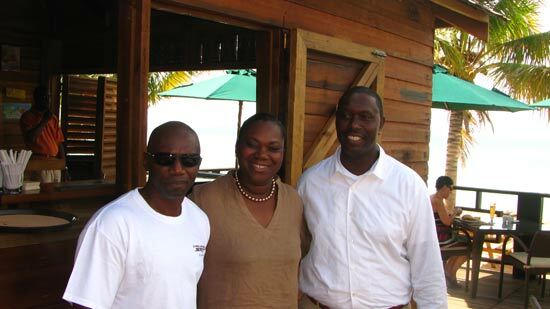 When da'Vida first opened many years ago, we knew it was going to be far more than "just another" Caribbean restaurant. Original plans had been in the works for something much bigger, much different. Whatever the outcome, the part we were most excited about? 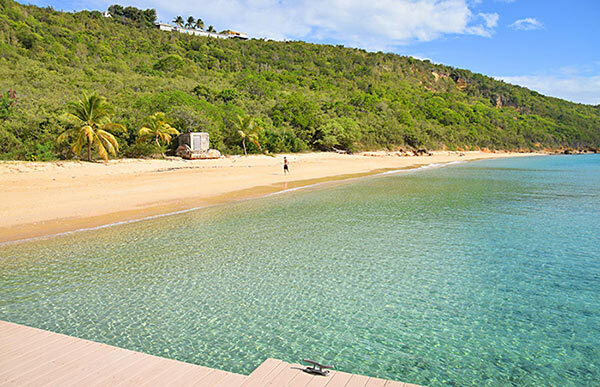 Endless beach days on Crocus Bay. 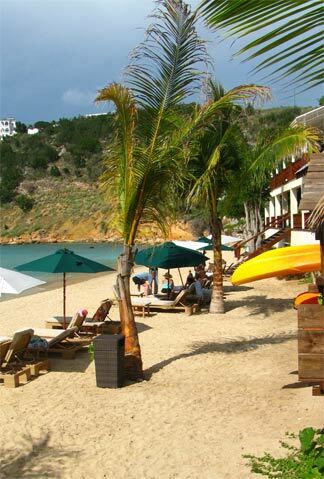 The beach bar and an "official" long, lazy beach day arrived in an e-mail from dear ol' Dad, rubbing it in a little. His emailed arrived when I was living up in cold New York in the dead of winter. Wait, I'm describing the latest addition to what may already be the perfect Caribbean restaurant. Putting all jealousy aside, I picked up the phone. I needed to hear about the experience first hand. The island was stirring after its fall "hibernation." Anticipating a crowd for da'Vida's celebration, they got there early. They were greeted by two familiar faces, Vida and her husband Clyde, a wonderfully warm and inviting couple. 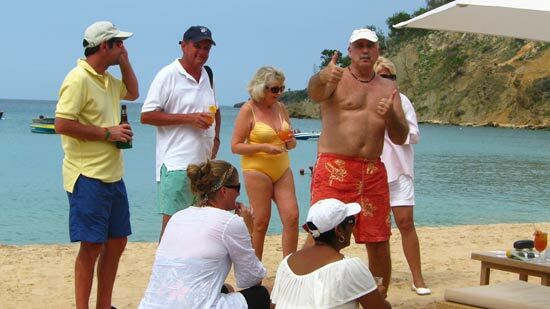 They caught up with Vida and Clyde, and were promptly introduced to David Lloyd, the man on the left, Vida's charming brother, with whom she owns da'Vida. Clyde gave my Dad the skinny on the prompt construction and setting up of such a beautiful establishment, done with all of the taste and flavor of da'Vida's dining room. 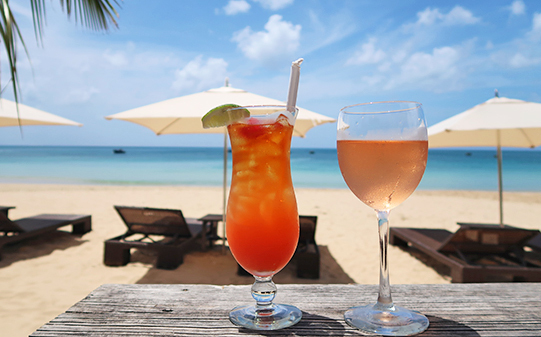 "Whatever you want to do, you can do it on a beach day at da'Vida. 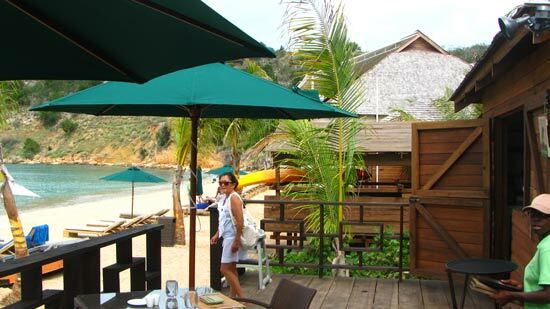 You can eat on the fine deck, or have an order to your beach chair. 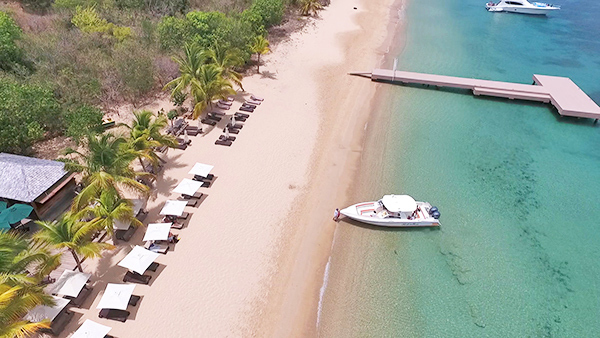 Go for a swim, have a drink, take out a kayak and explore Crocus Bay. If you would rather do the exploring from under the water's surface, there's snorkeling equipment, too," they enthusiastically explained. He and his wife Meredith are family friends from back in 2003 and 2004. They are such kind people. We always look forward to running into them and catching up! As time marched forward, the parking lot filled, just as my Dad was finishing up his discovering. The kitchen was getting busy. Not wanting to delay the orders, Dad snapped a quick photo, stepped back out, and put in his order right away! I guess my Dad must have been really passionate about the lunch. After lunch, he sought out Chef Van to thank him personally! 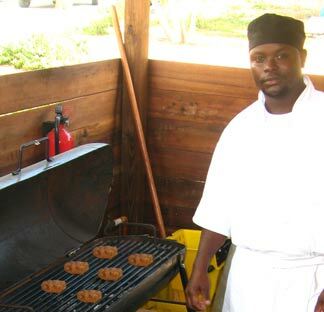 He caught him just as he was firing up the grill for another round of burgers. ... He didn't get far before my Dad showed up! "A talented man," my Dad said. Without taking more of his time, he let Van get back to his busy day. That is where my Dad's photo-email came to an end. "No more pictures?" I thought with a frown. Maybe this email wasn't intended to make me feel jealous after all. Maybe it was meant to brighten my day! 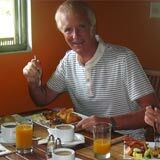 Since that day, our family have had countless memorable days at da'Vida's Bayside Grill. 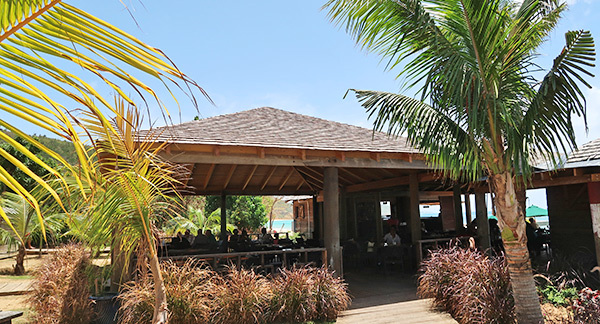 da'Vida's Bayside Grill has long been a top choice for an Anguilla beach day. 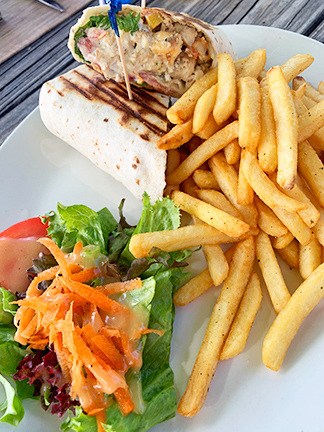 Combine the luxury of da'Vida's main restaurant and the "Caribbean beach cool" of the Bayside Grill, and you have one of the Caribbean's best restaurants.